Specialist Components developed mappable engine management system for A-series 5 port engines. With the success seen by the Carburettor replacement kits we have expanded the range to include a 'bolt-on' solution for Rover Mini equipped with Multi Point Injection (MPi). This system delivers the ability to tune your MPi engine for further power but removing the restrictive standard throttle body and inlet manifold with the addition of programmable engine management. 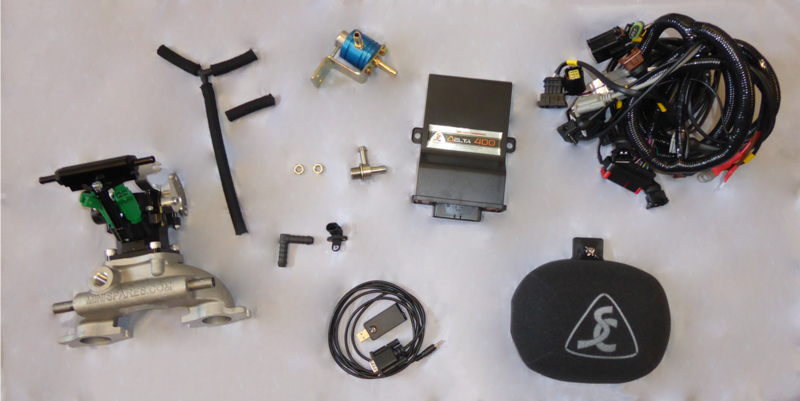 The system is simple to install and fits into a standard MPi Mini with no body modifications. 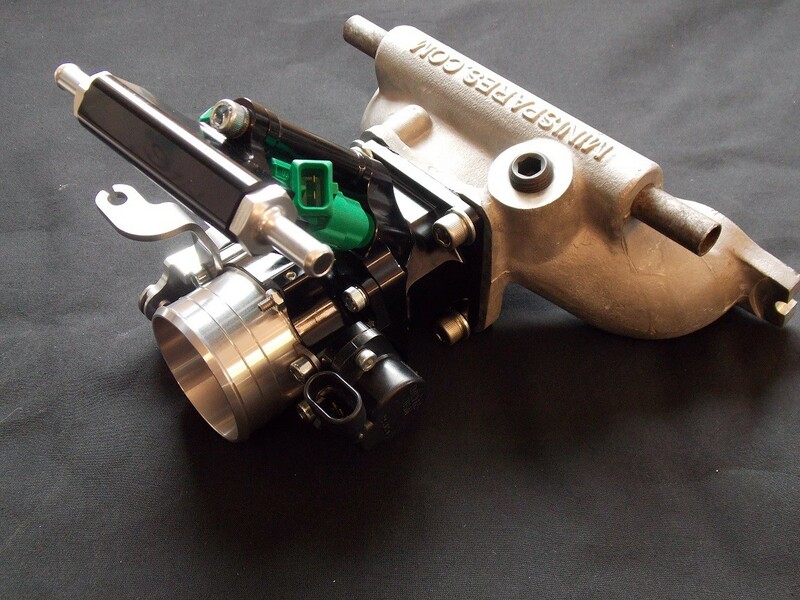 This is a cost effective upgrade and suitable for all MPi equipped Minis. Rolling road tested to prove gains over the factory fitted Injection hardware and ECU on a standard Rover MPi Mini. 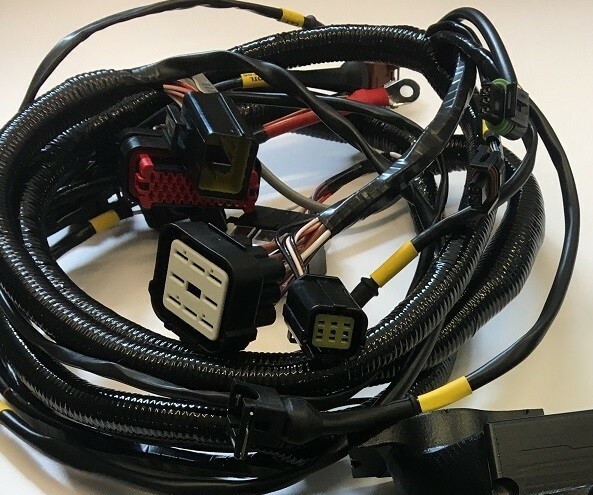 Suitable for all Multi point fuel injection Rover Minis (standard and Cooper) fitted with a twin plug Rover MEMS 2J engine management system. Please use the options below to select your throttle size. 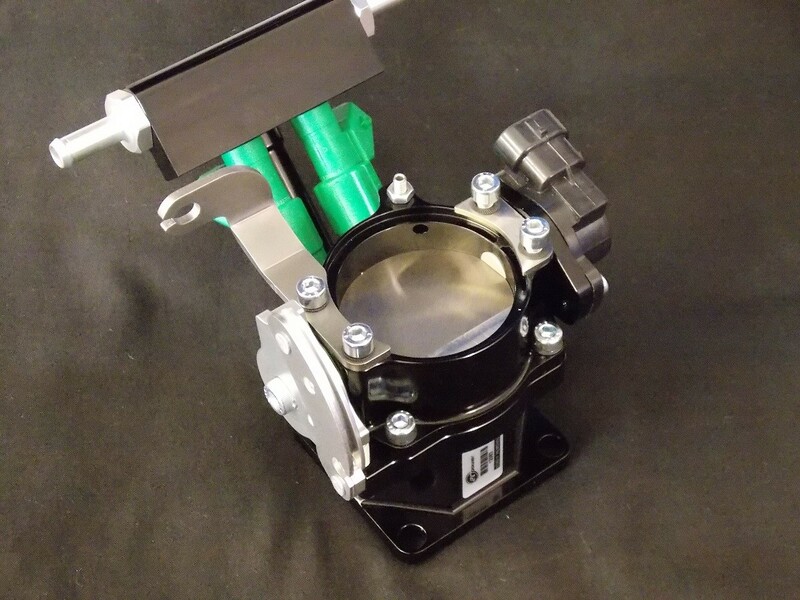 50mm bodies come with a hand ported manifold.